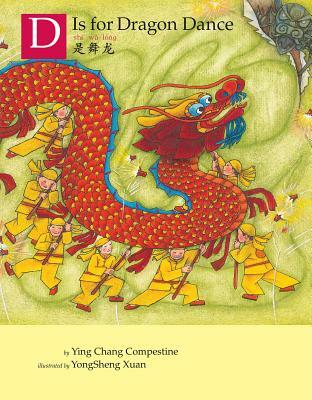 A bilingual introduction to the Chinese New Year in English and Chinese. From the dazzling dragon dance to the scrumptious steamed dumplings to the firecrackers that frighten away evil spirits, this alphabet book celebrates the traditions of the lunar new year. First published in 2006, this new rendition presents the English text alongside the Chinese. YING CHANG COMPESTINE grew up in China and later moved to the United States. Her books include The Story of Chopsticks, The Story of Noodles, The Story of Kites, and The Story of Paper, all illustrated by YONG SHENG XUAN. YONGSHENG XUAN is the acclaimed illustrator of many books for children, including The Rooster's Antlers: A Story of the Chinese Zodiac by ERIC A. KIMMEL and YING CHANG COMPESTINE'S The Story Of... series. He was born in China.